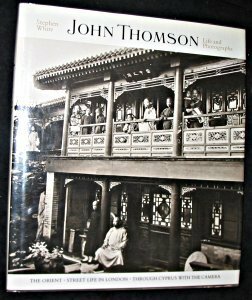 John Thomson, one of the great photographers of the 19th century, was noted for his documentation of the cultures of far-off places, including the Far East: Siam, Cambodia, Vietnam, Formosa, and especially China. Thomson established himself as one with an eye for the exotic; yet his photographs continue to fascinate both cultural anthropologists and those interested in the arts. In this stunning collection of his work, beautifully printed in duotone and covering each of his major series, Thomson's great work is once again brought to light.